Search engine optimization (SEO) isn’t nearly as complicated as some web designers and business owners make it out to be. To be sure, there is a lot of technical know-how involved, and Google’s algorithms are always changing. However, when you stop and take a look at the business owners who are successful and attracting customers through search, there are always three important factors involved. It’s easy to jump straight into search engine optimization with a desire to improve your Google rankings, but if you don’t have a short and long-term plan in place, you’ll eventually end up wasting time and money. If you don’t know what you’re looking for, you aren’t going to get the kind of results that move your business forward. Good SEO planning involves keyword research, competitive analysis, and a study of your competitors. It also means putting a good conversion strategy into place so you know how you’ll turn search visitors into new revenue. 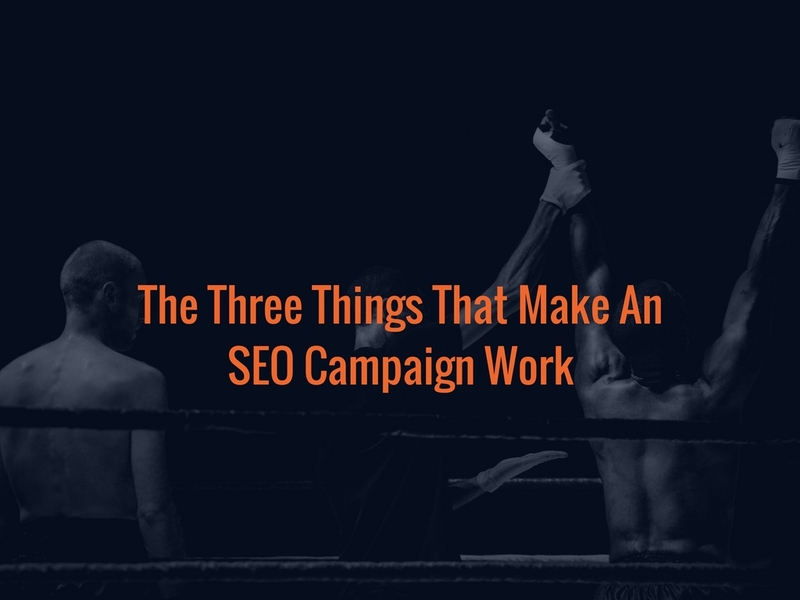 Without these pieces, your SEO plan will feel like busywork. There are a lot of complexities involved with search visibility, but one constant is easy to understand: the more topical content you have on your pages, the more search visits are going to come your way. This is true to the point that you would almost be better off producing lots of unique, high-quality content and ignoring search optimization altogether, than you would to focus on search algorithms and no content creation plan in place. Google and real-life searchers both want to find lots of information that’s deep and up-to-date. Providing that on your website gives you a huge advantage. Although you can improve your search engine position very quickly, holding on to those top positions and turning visitors into buyers takes time, effort, and patience. In other words, a successful search engine optimization campaign isn’t going to be created overnight, and you’ll have to do some work to maintain it. This is an area where a lot of marketers come up short, but it also represents a point of opportunity. If you’re willing to do what some of your competitors won’t and keep growing and adjusting your website, then you will be able to win customers who wouldn’t have come your way otherwise. Want Help With Web Design and Search Engine Optimization? There are a lot of places you can turn for online marketing services, but not many creative teams with the track record of WebRevelation in San Antonio and Oklahoma City. If you’re tired of spending money without getting the results you are expecting – or worse, watching your competitors pass you by on the internet – now is the time to speak with our team and see how we can help!